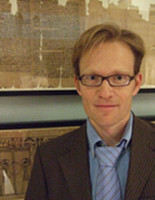 Markus Asper has been a professor of Greek at the Humboldt-Universität zu Berlin since 2010. He started and completed his studies as a classicist in Freiburg and Vienna. His work focuses mainly on two areas: Hellenistic poetry and the literature of ancient Greek science and technology. Major projects for the coming years are a book on “Writing Science in Antiquity” and a new edition with commentary and translation of Callimachus’ Aetia.